How to farm Chitin extremely fast. 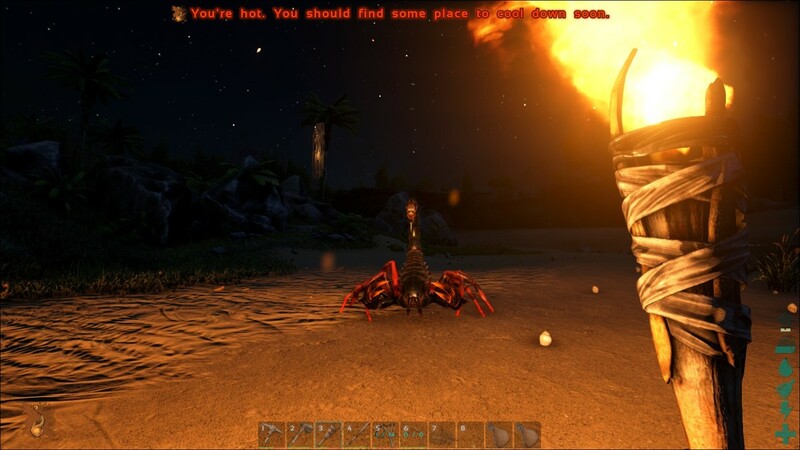 Chitin is a hard, durable material in Ark: Survival Evolved that can be sued to craft everything from extremely tough armor to saddles, to high tech electrical components. Unlike rocks and wood, Chitin cannot be grown or harvested from the land, it has to be collected off the corpse of dead animals with exoskeletons. If animal studies wasn’t your major, exoskeletons can be found on most insect like creatures including Scorpions, Spiders, and Titanomyrma. This can make it somewhat dangerous to gather, but with the right approach, you can be swimming in Chitin in no time. Note: Remember to use your Axe when harvesting Chitin to maximize the amount you get with each swing. Scorpions are a great source of Chitin and they can be found almost anywhere on the island, but prefer dryer rocky terrain like the base of mountains or inland beaches. You have to be careful when taking down scorpions however, as their sting increases your torpor which will eventually lead to you being unconscious if you take too many. If you’re fighting on a dinosaur or other creature they will be the ones affected by the stings so keep an eye on their torpor level. Spiders only appear in one place on Ark and that’s caves. If you’re brave enough to enter you’ll usually find whole nests of them down there, each of which will yield a good deal of Chitin. The best way to clear entire caves of spiders is to tame a Sabretooth which is small enough to fit through the passages, but powerful enough to kill packs of spiders without succumbing to their poison. Beware though, spiders can come from every direction, have powerful attacks, and can restrict your movement with their sticky webs. The Titanomyrma or as they are more commonly known, Giant Ants, can be a great source of Chitin despite their diminutive size. There are two types of Titanomyrma, Soldiers and drones. The Soldiers fly and hit with force as well as poison that drains your stamina. The drones creep along the ground and don’t pose much of a threat so long as you take care of them quickly. You can find these mighty ants scattered all over the island. WHen you do find a swarm check back often, they usually respawn in the same location. They become really dangerous when they get several stings on you to drain your stamina. If your stamina reaches zero too quickly, you might end up exhausting yourself into unconsciousness. As you can see, harvesting Chitin is no easy task, you’ve got to pry it off the cold dead bodies of insectoid creature to get it. But when you do get it, you can start creating some of the top tier gear.